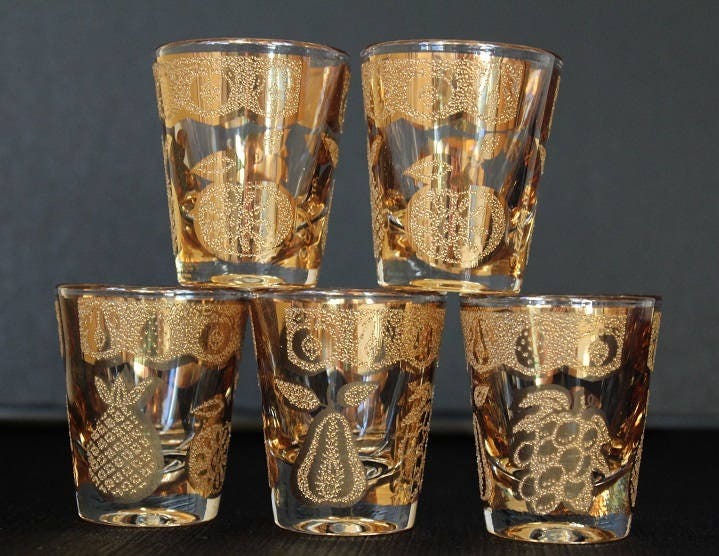 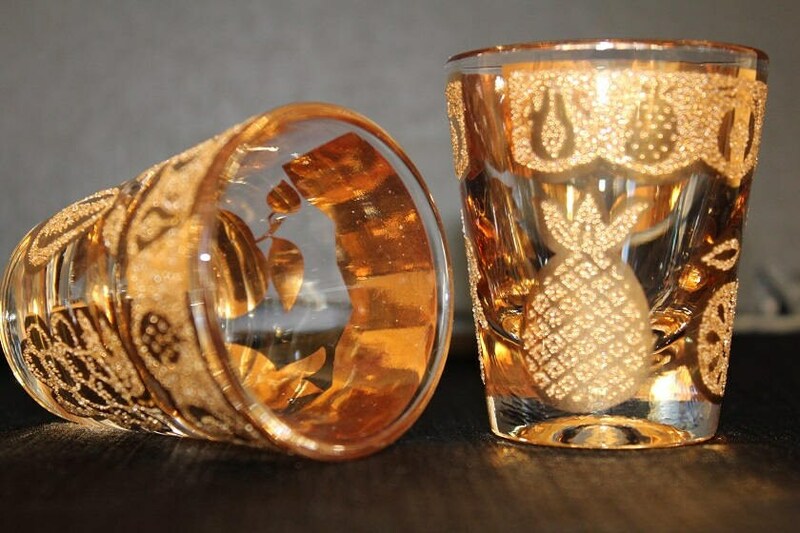 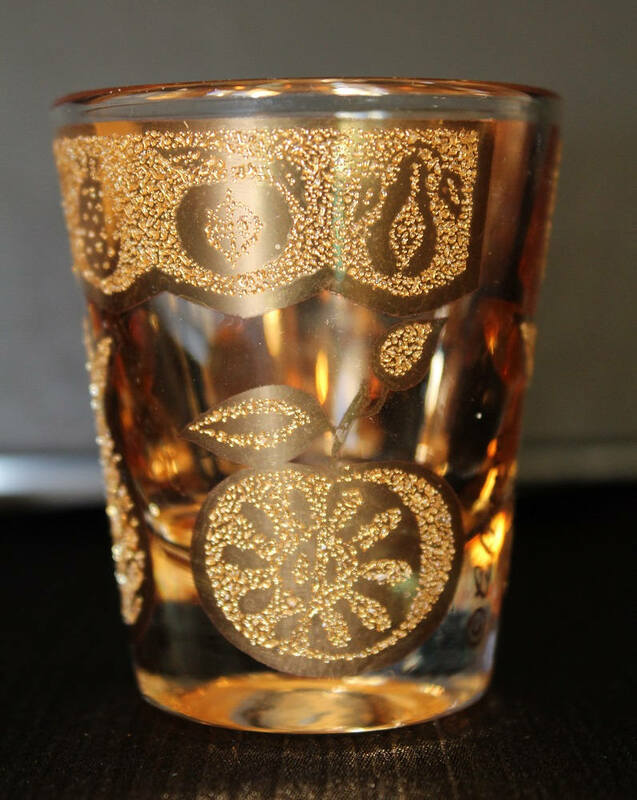 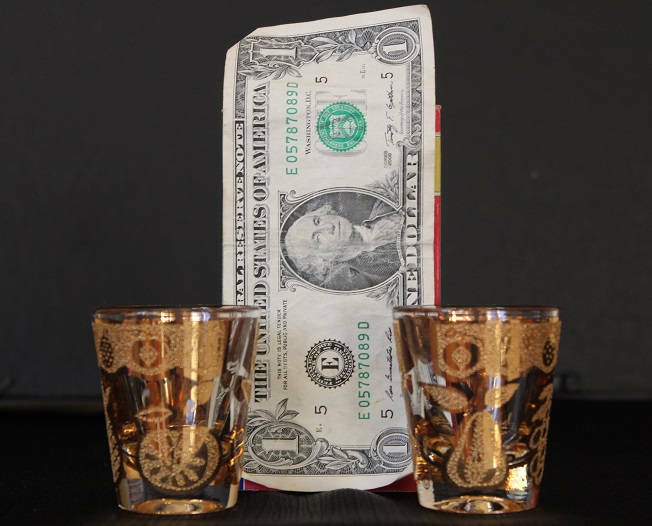 These beautiful shot glasses were designed by Culver in the Florentine pattern. 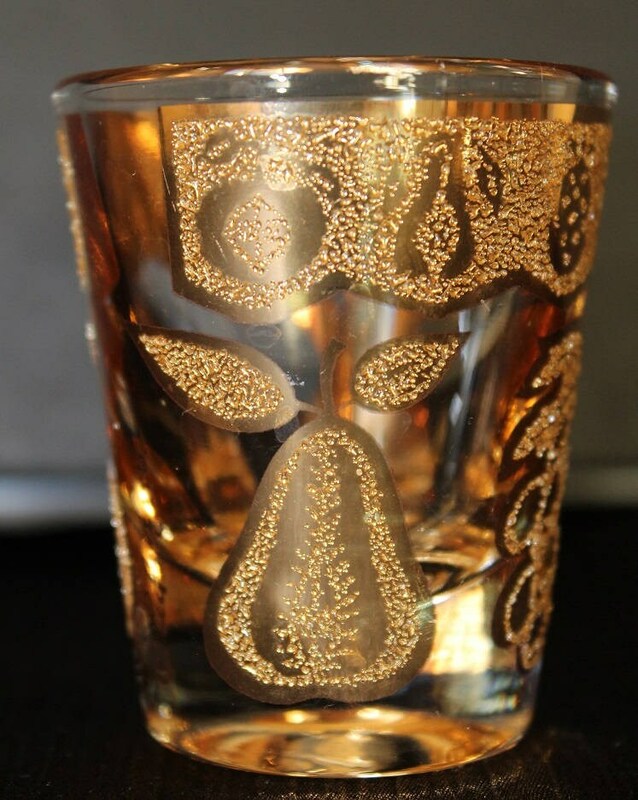 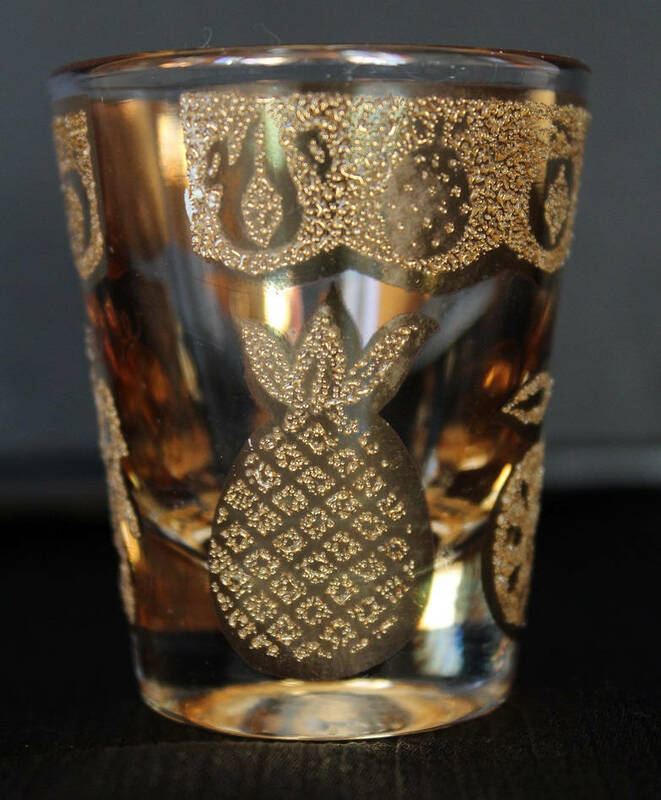 They are a clear glass with a heavy gold fruit design featuring a large golden apple, pear, grape, and pineapple circling around the glass. 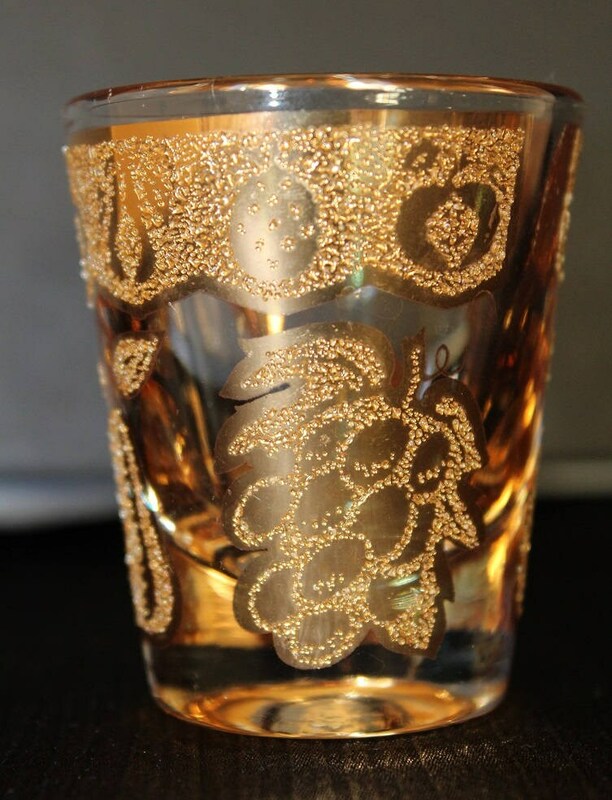 The fruit is done in a heavily coated 22k gold.